As Northern Irelands No1 powder coating company we consider ourselves experts in chemistry behind the processes behind a professional powder coasting job. We work with a wide range of manufacturers from basic metal fabrication right through to the Aerospace and Medical devices sectors, working with a wide range of metals and alloys, with over 80 years in house experience, to give you the best results everytime. There are many ways to powder coat materials, we believe our way is the best due to how we pre-treat raw materials. 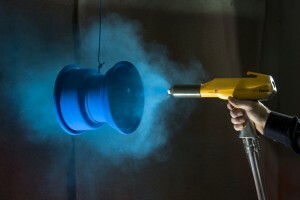 Through understanding of how raw materials act, and using our state of the art pre-treatment facilities, Rustbusters NI provide our wide range of clients the best in class partner for all of your powder coating needs. To find out more about how Rustbusters NI can help you with your needs or to get a quote simply email Simon.